Aimee believes in the unique and enormous possibility within every child. Each student possesses the ability to grow their talent in learning—a talent he or she can apply in any future pursuit, musical or otherwise! In our program students learn to “turn hard into easy,” by gaining mastery and ease of each new skill encountered through mindful practice. Just as Michelangelo envisioned the David in a rough block of marble, and chiseled the stone that stood in obstruction to the beautiful form within, I similarly look upon my student’s artistic expression as the angel within the stone. In gaining mastery of technique the student is able to fully access his or her own vision and expression of the music’s essence; the artistry within is set free. Violinist and teacher, Aimee Toomes Lopez, moved to The Alamo City to join the San Antonio Symphony in 2008. 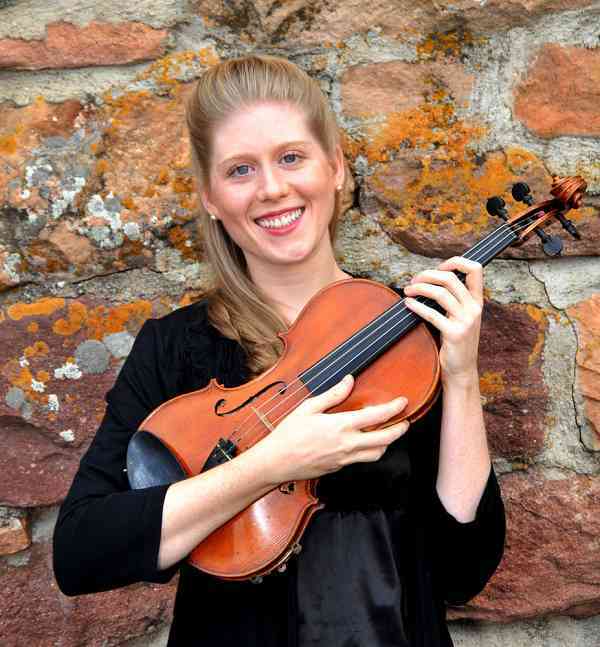 She holds degrees in Violin Performance from The Peabody Conservatory of Music (BM), Rice University’s Shepherd School of Music (MM) and a prestigious fellowship with the New World Symphony under the direction of Michael Tilson Thomas. Since moving to the area Ms. Toomes has developed a passion for nurturing young hearts and minds through music. Teachers and Mentors include Ronda Cole, David Strom, Kathleen Winkler, Elisabeth Adkins, Violaine Melancon, Desimont Alston and Shirley Givens.